Welcome to Durham Miners’ Association Brass Band. We are a second section brass band from County Durham. With the 2018 area contest over, Durham Miners’ Association band can now concentrate on preparing for their tour of Germany. The band, numbering over thirty players, intend to arrive in Germany on Monday 9th April and over the following four days will perform several concerts. Musical Director Stuart Gray has been busy planning an exciting program which includes pieces such as The Cossack Wedding Dance, the theme from Game of Thrones and classic North Eastern folk tunes such as Blaydon Races and Water of Tyne. Wesel in the North Rhine-Westphalia region, will be the bands base during this tour. The town is the capital of the Wesel region and was chosen as it is twinned with County Durham. The surrounding area has historical similarities to South Hetton, where the band practise. In preparation for the tour, the band’s Secretary Heather Ward has been working closely with the International Relations Department of Durham Council to organise the event which includes playing at a Civic Reception, the Old Miners Hall in Dinslaken (which has now been turned into an Arts centre) sightseeing trips and, of course, the obligatory tour of a local brewery! As recently as 2015, the band has also visited Belgium. The highlight of that trip, was performing at the Menin Gate. This time the band will be playing at Cologne Cathedral, a UNESCO World Heritage site. It is sure to be a memorable concert. If you would like further information about the tour then please contact the band on contact@durhamminersband.co.uk . To keep up with the bands trip please follow us on facebook (https://www.facebook.com/minersbrass/) or twitter(@minersbrass). 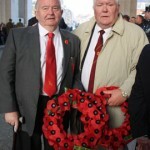 It was with great sadness that the Band has learned of the passing of Durham Miners’ Association General Secretary Dave Hopper. 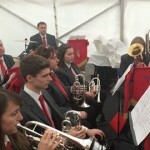 During the recent centenary celebrations at the Durham Miners’ Association’s Redhills Headquarters, the band were recorded by BBC Radio 4 for one of the World at One programme’s 50th anniversary features. The Durham Miners’ Association Brass Band was formed in September 2009 by the amalgamation of Broughtons Brass Band & Hetton Silver Band. 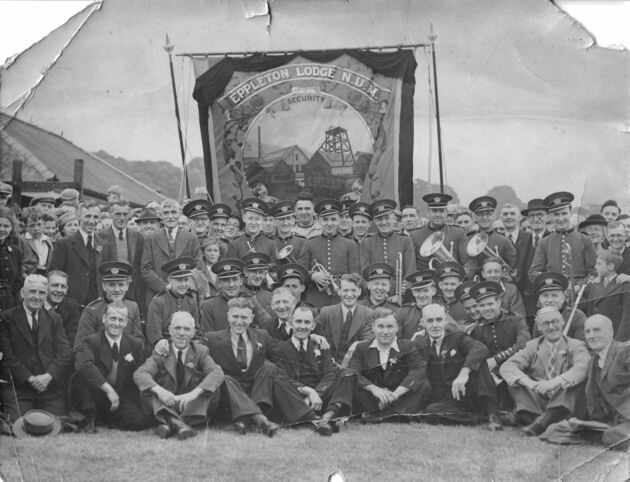 The name reflects the longstanding association that Broughtons Brass Band has with the Durham Miners’ Association & previously the Durham Area National Union of Mineworkers. The band performs annually on behalf of the Durham Miners’ Association at the Durham Miners’ Gala & the Thomas Hepburn Memorial Service. We’re a very welcoming group both musically & socially. Anyone looking for a band or visiting the area is always welcome to come along to practice. © 2019 Durham Miners Association Brass Band All Rights Reserved.